At last year’s Vaisakhi Parade in Surrey. 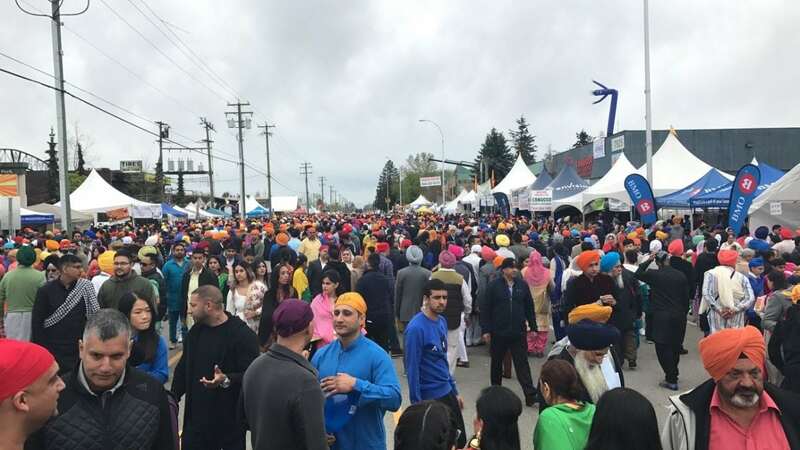 THE annual Vaisakhi Parade, taking place on April 21 in Surrey will once again host a lively and celebratory event to mark the most important time in the Sikh calendar, the celebration of the harvest and the birth of the Khalsa. This year’s celebration is expected to draw in excess of 400,000 people to the community to celebrate and enjoy one of the most important elements of the annual event, the amazing foods of India, according to a press release on Monday. – Overloaded propane cylinders that are freezing up: This is a dangerous situation where the appliance is drawing off more propane vapor than the tank can supply. If this is occurring, a larger cylinder must be used, Cylinders ARE NOT to be heated by any means. – Liquid service valves used for vapor service equipment. Propane cooking equipment should only ever be connected to a vapor service valve, any equipment connected to a liquid service valve will be shut down. 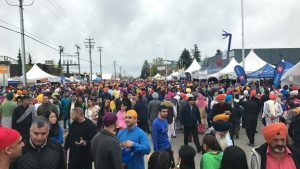 Check the Surrey Vaisakhi Parade website (surreyvaisakhiparade.com) for information on safe food handling and to download the Temporary Food Permit that must be completed prior to the event in order to serve food at the event. Anyone wishing to serve food must have a temporary hand washing area next to the food preparation area; wear gloves for all food preparation and serving; wash their hands prior to food preparation and service; keep hot food such as rice and sauces heated to a minimum of 60 degrees Celsius at all times; keep cold food cooled to 4 degrees Celsius or below at all times; have a sanitation solution at food preparation and serving locations; sanitize food cutting and preparation locations. For a full list of Do’s and Don’ts, visit the website. Due to a potential disruption to the airspace caused by a large number of balloons being released accidentally, all participants are asked to respect an absolutely “NO HELIUM BALLOON” policy. There is a serious safety concern for air traffic due to large numbers floating into the air traffic space above the Parade route. We are asking for corporate and individual support in respecting the ‘no helium balloons’ policy on parade day.